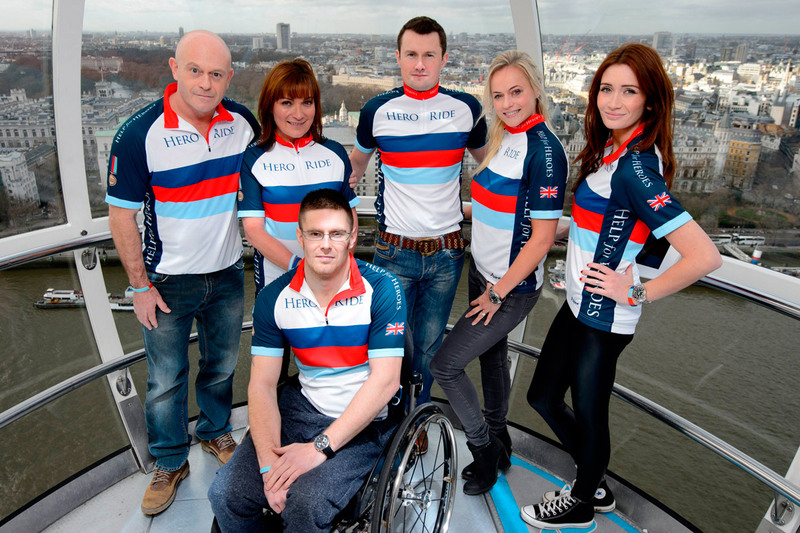 HELP for Heroes patrons Lorraine Kelly and Ross Kemp joined wounded ex-Servicemen Steve McCulley and Ben Zissman to launch Hero Ride 2014, the biggest cycling event in support of our wounded heroes the country has ever seen. Aiming to raise £1.5 million, the event will see organised routes from Brussels, Edinburgh, Manchester, Cardiff and the Help for Heroes Recovery Centre at Tedworth House, Tidworth. All rides will come together on the 8th June for the Grand Finale, where an anticipated 2,000 riders will cycle together from Blackheath into Horse Guards Parade. With 10,535 British men and women injured in recent conflicts, and Combat Stress estimating that 40,000 Servicemen and women will suffer from some form of invisible injury over the coming years, the funds raised by Hero Ride 2014 will help the charity to continue supporting Service personnel and veterans who have suffered life-changing injuries and illnesses. The money will also deliver two new projects this year; The Hidden Wounds Psychological Wellbeing Programme and an expansion of the Northern Help for Heroes Recovery Centre in Catterick. Lorraine Kelly said: “Help for Heroes has transformed the support our heroes who have been injured receive. I am so proud to be a patron for the charity and continue to be amazed at the generosity and support the public gives our Armed Services. Bryn Parry, Co-Founder of Help for Heroes, said: “Troops may be withdrawing from Afghanistan but our support will be there for those who are injured and their families, for life. Don’t delay sign up to Hero Ride today! Visit www.heroride.org.uk for registration details or to make a donation.